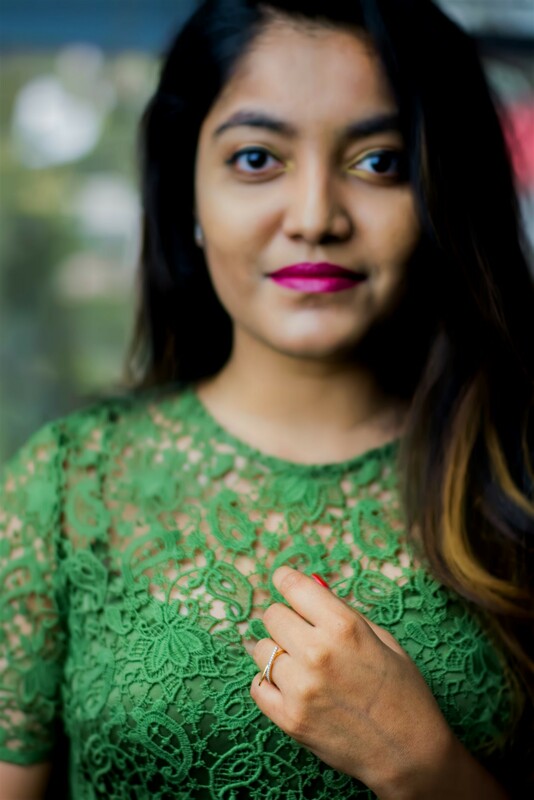 Right now, I want to know how you have been, what plans you guys have for the holiday season and everything else under the sun! Let’s have a Twitter chat if you are up for it. 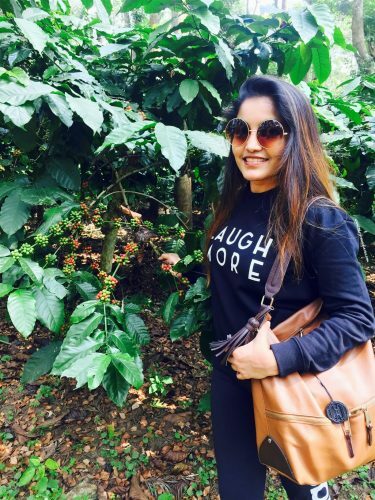 🙂 Talking about things we are up to, if you follow us on our social media channels, you know I was in Coorg with Nestle for a visit to their coffee farm. For someone who loves coffee, getting to know how Nestle makes them from beans to cup was interesting! 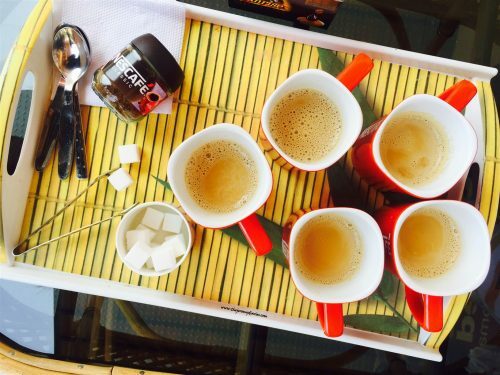 Actually, I learnt how coffee is made ‘root to cup’ as Team Nestle rightly quoted. 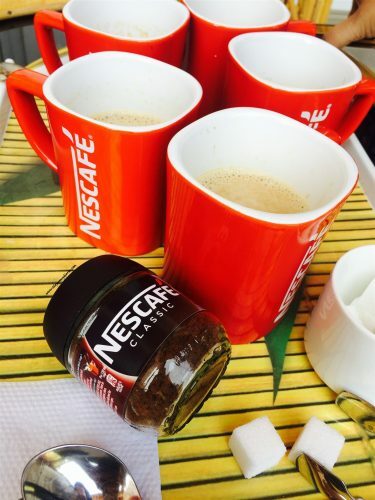 Over a coffee conversation, I heard and learnt all about coffee harvesting and #NescafePlan. 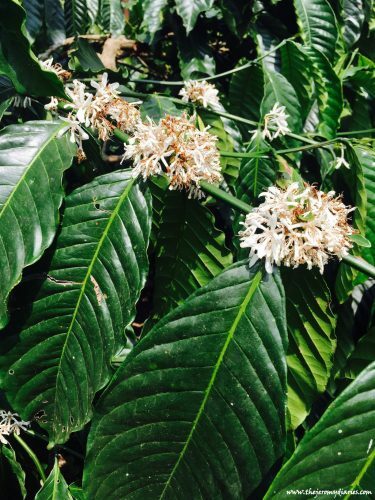 Nescafe Plan is an initiative taken in the year 2012 by Nestle keeping in mind the practical problems that farmers face while growing coffee, Nestle thought it would be a good idea to train farmers and educate them to harvest coffee in the most efficient way. 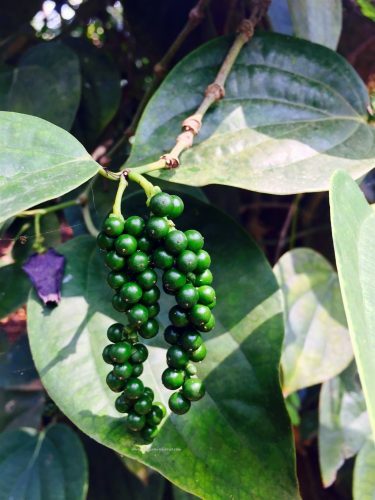 One of the activities under #NescafePlan is establishing a coffee demo farm to show farmers how coffee can be harvested with best practices that could result in better yield. 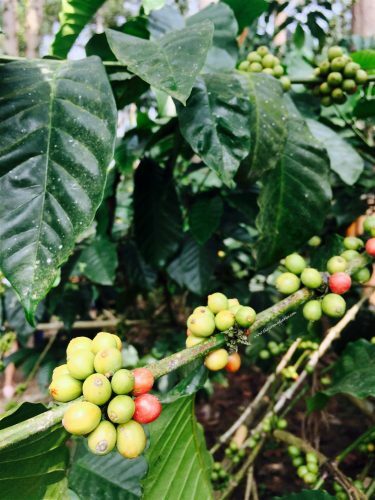 We also walked around the coffee farm to get an idea about Nestle’s harvesting techniques. 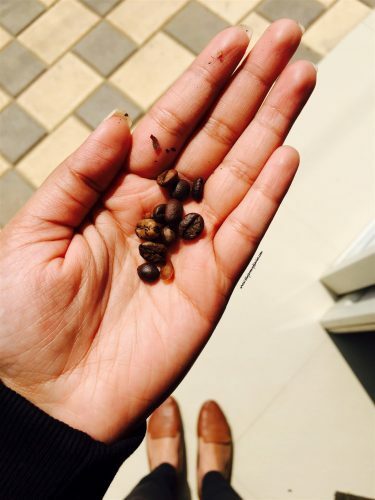 The cup tasting is carried out by well-trained sensory experts after the coffee beans are roasted and they check not only for the presence of desirable taste but also for the off-flavors in each and every cup. Based on this, the samples that doesn’t meet Nestle standards are rejected and the suppliers need to replace this with new lots of coffee. 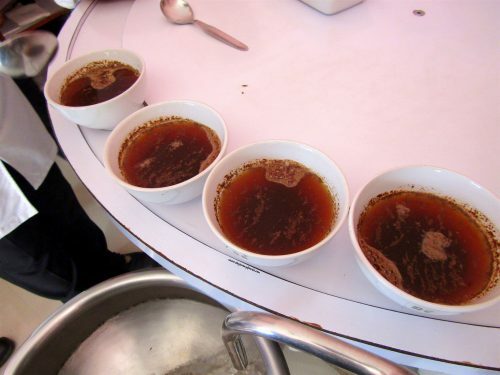 These pre-shipment coffee samples move to Nanjangud factory only after approval from these sensory labs. We had a chance to visit the sensory labs and speak to one of the experts. He did a demo of how the cup tasting is done and also gave us a chance to try this! 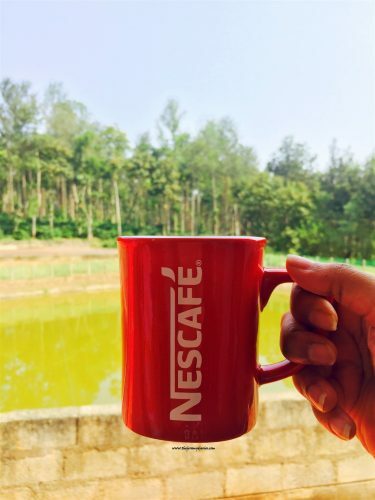 Nestle states that these sensory labs have helped in maintaining high quality coffee for all their Nescafe products. 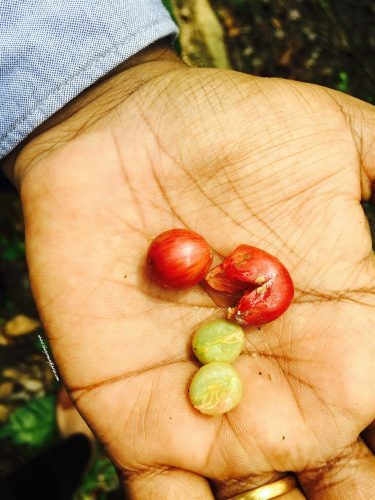 I had an amazing experience just learning so much about coffee harvesting and how it’s made root to cup. Thank you Nestle for hosting us! 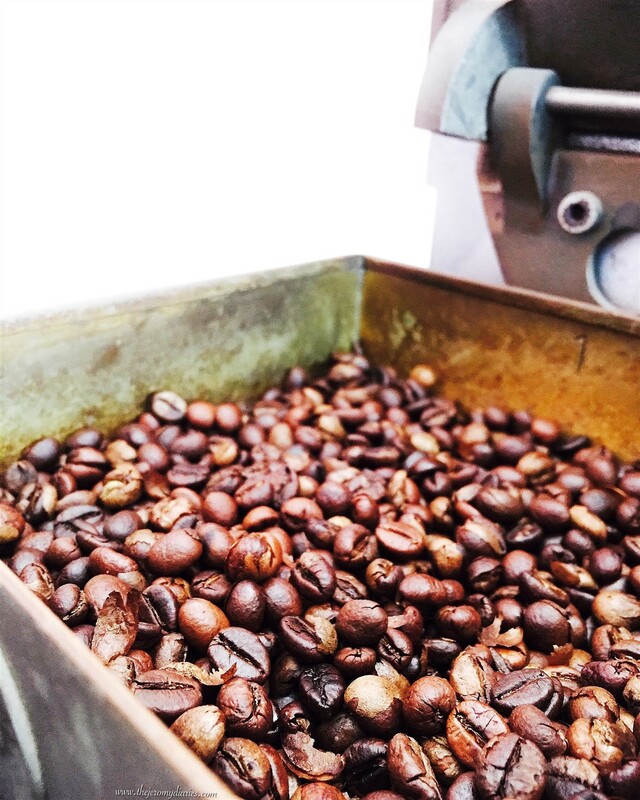 Have you guys ever been curious to know what goes into the making of your coffee? #JustThinking 🙂 Let me know! Wow! Must have been an amazing experience! Sadly I can;t drink coffee any more. But this was super interesting to read. Oh yes, I love the process that goes behing making the coffee! Loved your glasses by the way! This was so interesting, I love coffee.